It is also due to its double distillation, through which retains the maximum flavor from the wines that become liquor during the process. And it is as well because of the limited number of grape varieties that are allowed as part of its composition. All these reasons have led to this being a beverage distilled associated with the upper class, the powerful men and the most exclusive circles. And maybe that?s the reason why cognac, despite being only a branch of a type of beverage, brandy, is even more famous than it. But what happens before it gets to our glass? First goes the copper and the oak. Or in other words, first it is distilled, a process which takes the best from this liquid gold after rejecting the first and last parts to get rid of toxicity, and then it is allowed to settle and mature in new oak barrels (which cannot have contained anything other than cognac), in which it will gain in bouquet up to the peak. 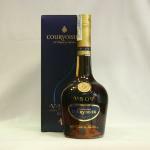 VS (Very Special) cognac are all those who have aged in oak for at least two years. VSOP (Very Special Old Pale): four years of aging, at least. This one is also known as “Réserve” in its French name. XO (Extra Old), the most exclusive, which have evolved in oak barrels for at least six years, and which are also called Hors d’âge or Napoleon. If we were to choose only one of each type, basing our decision on the powerful argument best quality ? price relation, starting with the best I will recommend the Hennessy XO: for its power and masculinity, its flavor and character, it would be followed by the Courvoisier VSOP Fine, because it makes us feel like Napoleon after fighting his best battle, and finally, the Remy Martin VS, for its aroma, its complexity and intensity that captures our attention from the first contact. Finally, a couple of curiosities, the first surprise about cognac is the large number of English names for such as typically French product. This is because it was originally exported to England mainly. Another curious note, perfect to bring up in a conversation with friends while holding a glass of cognac, is that finding a cognac recognized as such which does not come from France is possible. The reason for it takes us back to the end of the Second World War in which France planted a debt to a Latin American country: Uruguay. As payment thereof, in 1946 and by order of the French Government a vineyard and a distillery were established in there. In the first one, Ugni Blanc grapes grew, and the second was built at Juanicó, which still continues to produce its distinctive cognac. Deep, powerful, savory,… a jewel at the best price. 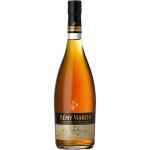 Remy Martin is one of the most traditional brands in France.